I have so many plans for this blog of mine. Finding the time is what I am struggling with a bit. My world seems to spin faster and faster every day. Designing is my passion and keeps me sane. I was able to create a little something just in time for March. 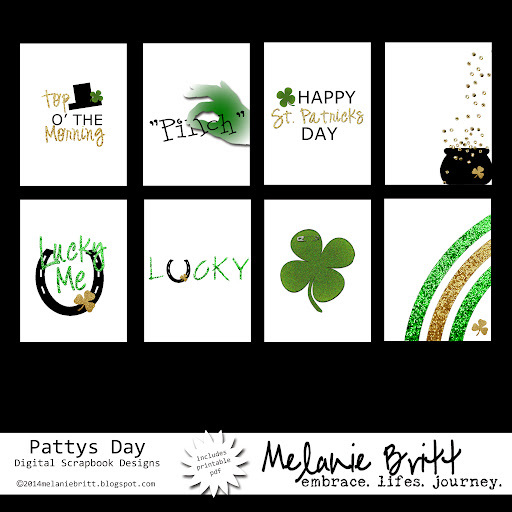 Enjoy these new cards for St. Patricks Day. Download them FREE for a limited time on my facebook page. Thank you! Your kind comments make my day. Sorry, download no longer available, and has been downloaded 296 times. My cat Moon is obsessed with my printer. Every time he hears it start up it's like the first. I am certain things around here will slow down enough for me to share what in the world I have been up to lately. Raeleen and I had a brief moment at the computer this afternoon to create another freebie. I add Raeleen because I have been teaching her photoshop (part of her school time). So what better way to learn than to create something that will reap rewards. She helped me create the February Love cards and has been overwhelmed with the response. As of today that particular download has had 962 downloads! Woot! And it keeps going strong. Just in case your wondering, it is still available on my facebook page. But it won't be there for long. We are already doodling ideas for St. Pattys day. 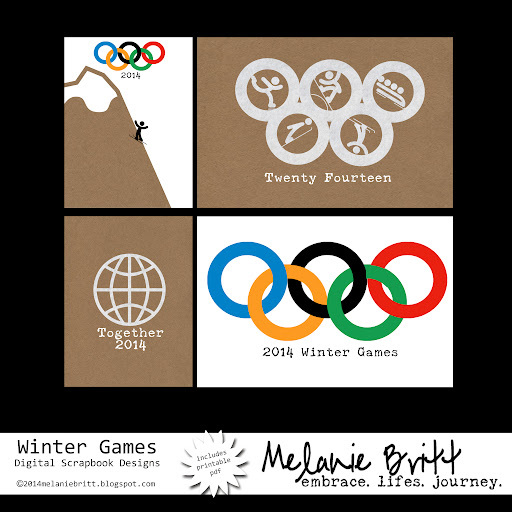 While I may have created the "people" in this Winter Games digital scrapbook download, my inspiration credit goes to the mastermind behind the Sochi 2014 Brand. Melanie Britt is not affiliated in any way with the Olympic brand. Due to popular demand I have made this download available here on the blog. As of today, this 'freebie' has been downloaded 679 times!! WOWZA! I am truly grateful for the 'likes', 'shares', 'pins and 'links' around the web for this download. So, I am leaving it available here on the blog a little longer. I am seeing my 'freebies' in galleries, instagram, and around the web more often. Which, is quite exciting and I don't what to miss a single one. Please use the hashtag #melaniebritt so I can see. And, could I ask you to, please, leave me a comment letting me know where you found me. Sorry, download no longer available, and has been downloaded 798 times. I have a NEW freebie over on my facebook page. The free download includes printable files in .pdf format! They can be printed, cut out and sewn together for you banner makers out there. Raeleen and I may do this a bit later. Don't worry, I did not replace the February Love download it is still available. Enjoy the download and have fun watching the Super Bowl! Thanks for being my fan too. Sorry, download no longer available, and has been downloaded 190 times.